Whether or not first impressions are to be trusted remains an endlessly debated question. Yet it appears that, rightly or wrongly, first impressions stick. First impressions of a workplace can linger particularly. A clean office is essential to keeping clients, customers, employees, and associates comfortable and content. By ensuring that everyone who enters your workplace gains the best possible impression of your company, you are helping to secure positive and profitable working relationships. If a potential client is visiting your office for a meeting, you want to create a calm and collected atmosphere. Cleanliness is paramount to achieving this. Even the smallest of details – dusty desks, stained windows, grubby door handles – create an impression of carelessness and chaos. A business associate needs to instantly feel at ease. They should remember your office for its pristineness and professionalism, as opposed to being the office that served them water from a smudged glass, slid over to them across a greasy table. Having a professionally cleaned office means that every room, every inch of the workplace is immaculate. Expert cleaners are meticulous, and can focus particularly on facilities most used for business, for example, the reception area, meeting rooms, and bathrooms. New clients and potential customers become aware of that instantly. 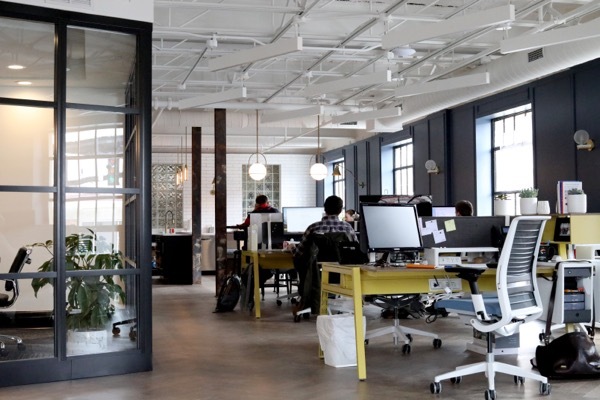 If your office is maintained to such a high standard, its visitors and employees immediately perceive your company to be detail-orientated and mindful. This speaks volumes about the way business is conducted within the clean workplace they are so impressed by. « Do you really “know” who has the keys to your office?